An oak Putnam Rolling Ladder No. 1, made well and made to last, stands at the ready. (No, we are not allowed to play on it.) It was designed in 1905, the year that Samuel Putnam started the Putnam Rolling Ladder Company, Inc. 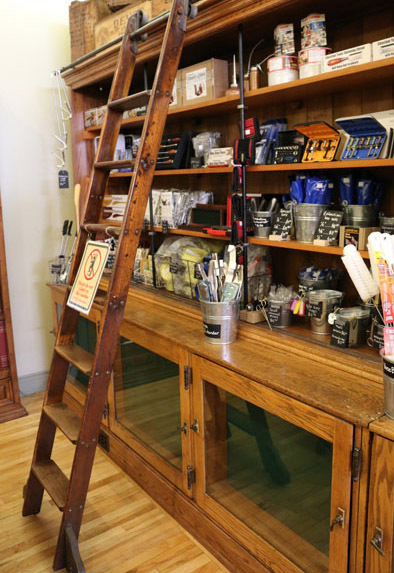 The company still exists, selling rolling ladders of a virtually unchanged design. With a strong woodworking culture under our belts, we were up to the challenge of designing and building a few new fixtures. The end result is a complementary blend of the old and the new. 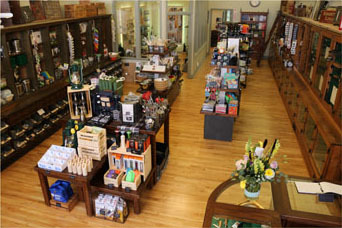 We thought it important to create an interesting and memorable shopping experience for customers. Lining the walls of L.G. 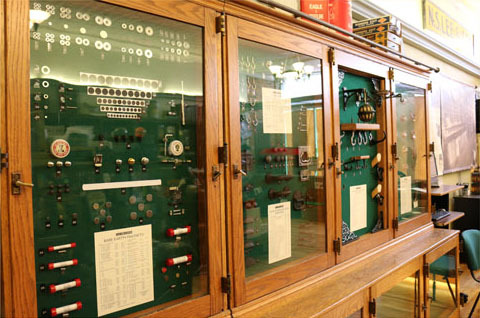 Lee & Sons are majestic oak display cases that have a history of their own. In the 1990s Leonard G. Lee purchased the fittings of a fifth generation family hardware store in the Bronx, New York. As a woodworker, he appreciated the beauty, function and construction of the old cabinetry. With the hope that someday the pieces could be restored to their former glory and reused as originally intended, they were put into storage. Two decades later the cabinets were brought out of storage, carefully cleaned and repaired, and finally, the wood on each cabinet was hand-polished with wax to preserve a patina that took over 100 years to create. They look perfectly at home between the tin ceilings and hardwood floors at 36 Mill Street. 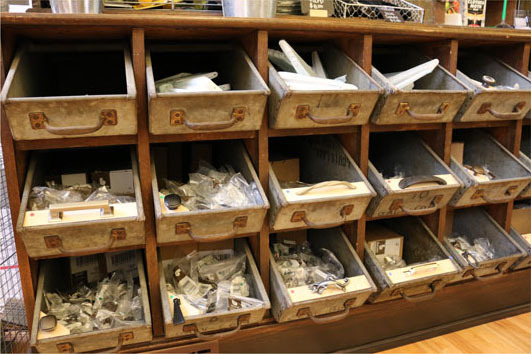 Before extensive cleaning made these tilted display drawers ready, remnants of coal dust, left over from a time when coal was used to heat New York City, were found inside some of them. Once again they offer a wide variety of hardware for the customer to choose from. 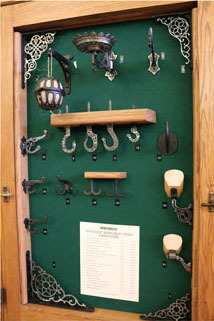 A range of available hardware products line the old oak shadow box display cases (our antique reproduction hardware suits the venue well).